Deliv, one of Walmart's first grocer delivery partners, has ended its relationship with the retailer, according to Reuters. Deliv sent Walmart a 90-day termination notice and the companies halted operations in late January, Reuters reported, citing two sources familiar with the situation. Walmart confirmed the development to the news outlet. Reuters reported that Deliv drivers often had to wait 40 minutes or longer to receive grocery orders from stores. Sources also told the outlet that order volumes were low in numerous markets — a claim disputed by a Walmart spokeswoman — and that Deliv drivers often had to drive long distances to deliver orders, cutting into profitability. Walmart currently offers same-day delivery in 800 of its stores and the retailer plans to add 800 more this year — reaching 300 total cities. “As with any pilot, the intent is to learn," a Walmart spokeswoman told Reuters. "And we ultimately came to the conclusion with Deliv that while their platform is a good delivery option, it was not the best fit for our program at this time." Walmart is pressing forward with online grocery, but its difficulties with Deliv underscore the challenges of last-mile delivery fulfillment. Last year, the retailer's partnerships with Uber and Lyft came to an abrupt end. Walmart has also struggled to find an effective way to use its employees to ferry orders to shoppers. Despite these developments, Walmart continues to press forward. Last month, it added four last-mile delivery providers to its fleet including Point Pickup, Skipcart, AxleHire and Roadie to four states with plans to further expand in the near future. The retailer also partners with Postmates, DoorDash and last year it launched its own personal shopper service in Nashville and New Orleans called “Spark Delivery”. Walmart's patchwork of last-mile delivery partnerships reflect the retailer's vast footprint, which covers suburban as well as rural markets. Roadie, for one, specializes in serving smaller cities and towns, CEO Marc Gorlin told Grocery Dive in a recent interview. By using its own employees to pick and pack orders, Walmart is focusing on quality control while offloading the most expensive part of fulfillment to specialists. "They’re keeping a lot of the core competencies, the picking and packing, themselves," Gorlin told Grocery Dive. "What they saw in us was a company that can go nationwide, handle rural communities as well as the urban communities." But those rural markets Walmart serves can see low order volumes and carry long drive times for gig workers. Deliv’s complaints also bring light to the issue of retailers picking and packing products in the same grocery store customers are shopping in. With Walmart’s current model, associates are splitting their attention between Walmart’s click-and-collect and delivery services. According to a Reuters source, Walmart prioritized pickup customers and often kept Deliv's drivers waiting. One step that could solve this issue is a greater reliance on dedicated e-commerce fulfillment centers. The company is testing an automated facility in Salem, New Hampshire focused on same-day delivery. Last fall, it built a $41 million in a center located in Bullitt County, Kentucky. This comes after Kroger announced its partnership with British e-grocer Ocado to open massive automated warehouses in the U.S. focused on delivery fulfillment. 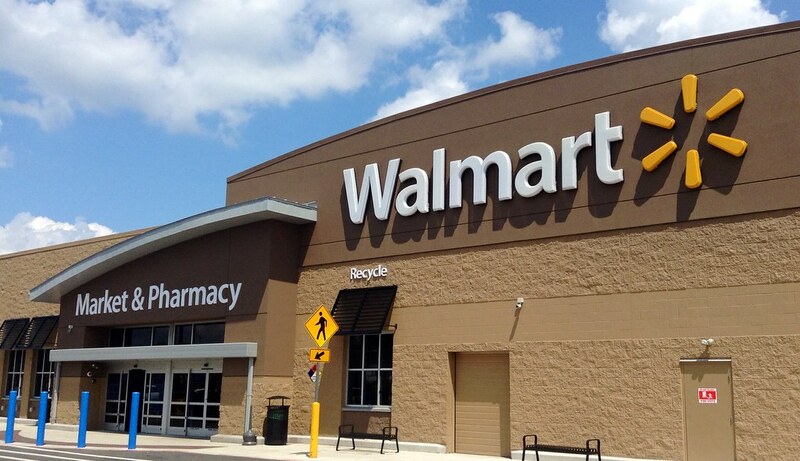 To date, Walmart has focused primarily on its grocery pickup service, with hundreds of new locations coming online last year in addition to a pricey marketing push. The economics of grocery delivery are trickier, but the service is a vital component in Walmart's push for omnichannel dominance. Look for the company to continue innovating and adding partners as it scales the service this year and beyond.